Healing stone. Nephrite is a powerful healing stone. Purity. Nephrite stone is pure from any harmful mineral impurities. Dense and Heave. Nephrite jade is very dense to prevent any harmful bacteria or contamination ingredients diffusing inside. Nephrite jade is denser and heavier than most stones. Hard and strong. Nephrite jade is very hard and very strong, with Mohs hardness of 6.5 so the yoni egg does not produce cracking or fractures during processing or during usage and storage. Stone: genuine, 100% natural nephrite jade, no dyeing or heat-treatment. Drilled hole: sideway drillied at the smaller end of the egg with hole of 2-3mm at the smaller end of the jade egg. Centrally (vertically) drilled from the top to the bottom of the egg and undrilled are also available. If you are a reseller, please contact us for wholesale price. 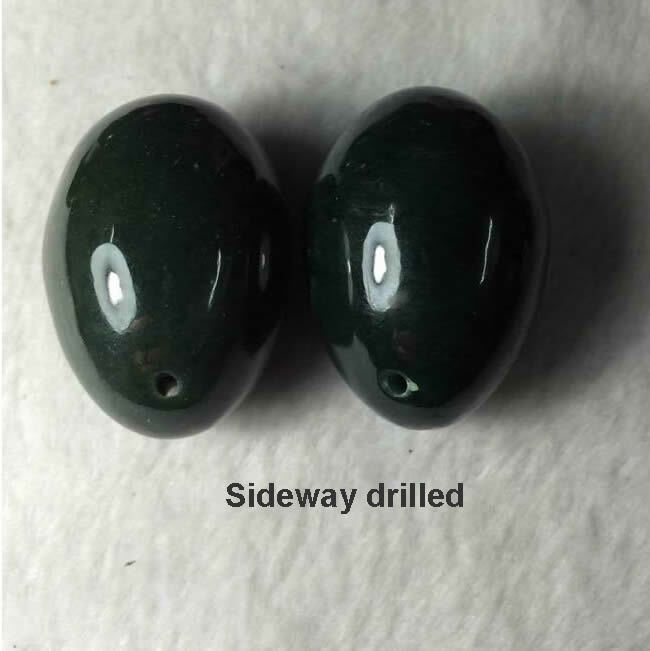 We are probably the only manufacturer and supplier capable of reliably and constantly providing 100% natural and genuine nephrite jade eggs. 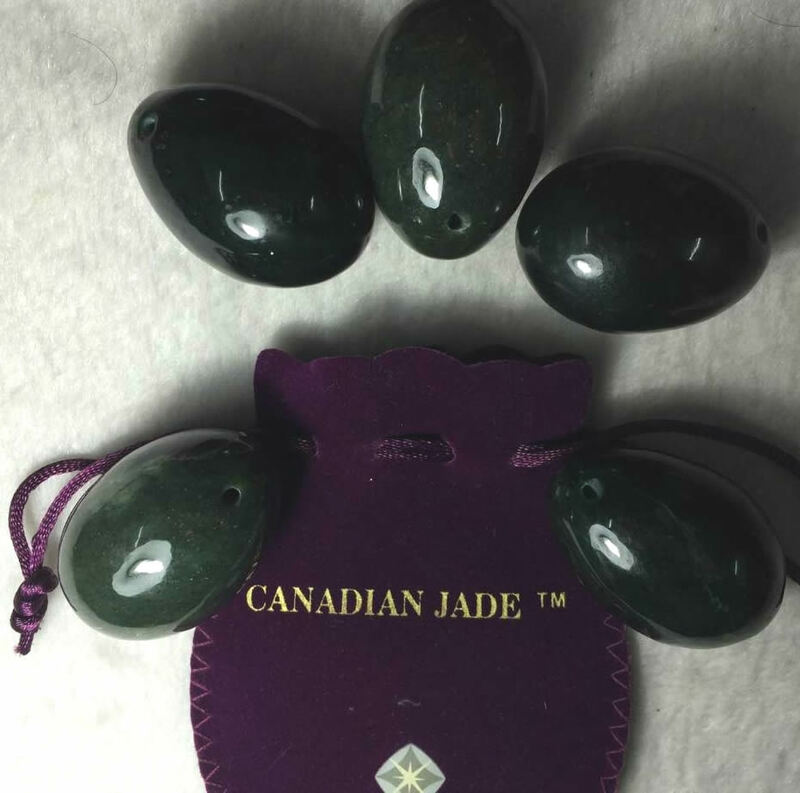 We guarantee the jade egg you purchased is made of 100% natural nephrite jade without any dyeing or heating treatment. 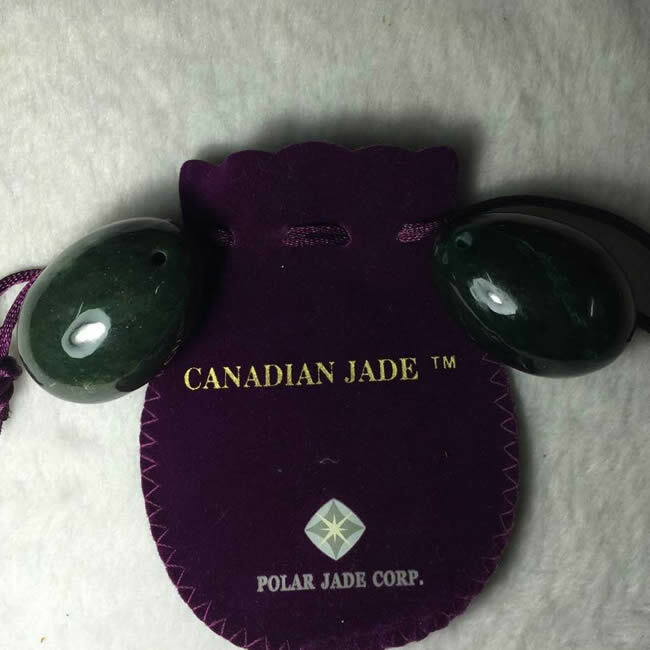 Pleasae note many "jade eggs" in the market are actually fake jade, mostly made from onyy or serpentine stone. 2 varieties of marble stone. Because all of our yoni eggs are manually carved and polished from 100% natural nephrite jade, there are always variations in color, shade, tone, texture. Actual yoni egg you receive might not look the same as the ones showed in the pictures at this site. There may be natural blemishes and color variations. Color of the nephrite jade egg cannot be specified. Yoni eggs are for intimate use. No return is accepted for obvious reasons. Yoni egg are for kegel exercise, not a substitute for medical treatment. Please discontinue use of this product and consult your physician if you feel any discomfort when use this product. Polar Jade® is our registered trademark in Canada and the US.